Software development of several interactive installations for the museum of Boris Yeltsin Presidential Center, Yekaterinburg, Russia. Video Recording Booth: Interactive application where visitors can film themselves for one minute in front of a big screen, making a testimony on Freedom or on Boris Yeltsin legacy, and sending the resulting video by email. Some videos are selected in the Content Management System to be shown in the Freedom Gallery (big screens installed in the museum). Radio Recording Booth: Interactive installation where visitors can record themselves reading speeches and send the resulting audio files by email. Radio Broadcast: This interactive installation allows visitors to read and listen to various Boris Yeltsin’s speeches, selecting by different years and filtering with different themes. Election computers: Touch screen application emulating an old computer with a Windows-based interface. 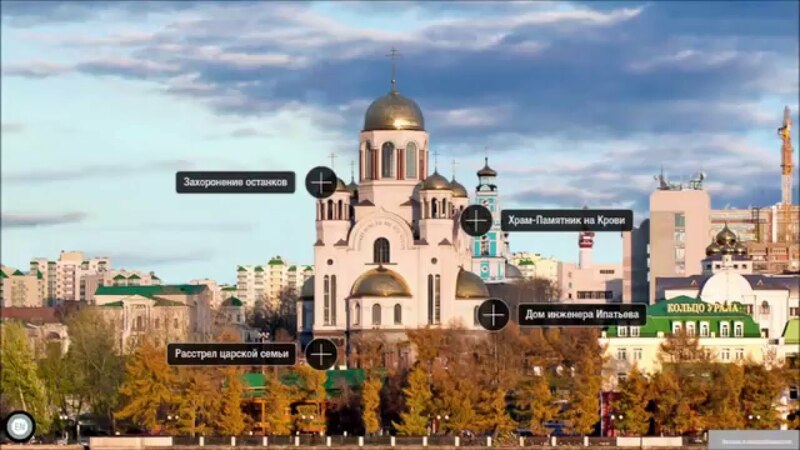 View Finder: This interactive application presents a live video stream of the museum surroundings and allows the visitors to explore contents related to the elements being filmed. Content Management System: Web application and database to manage emails, audio and videos recordings from several applications stored in database.